Norma Talmadge is the woman standing at left. 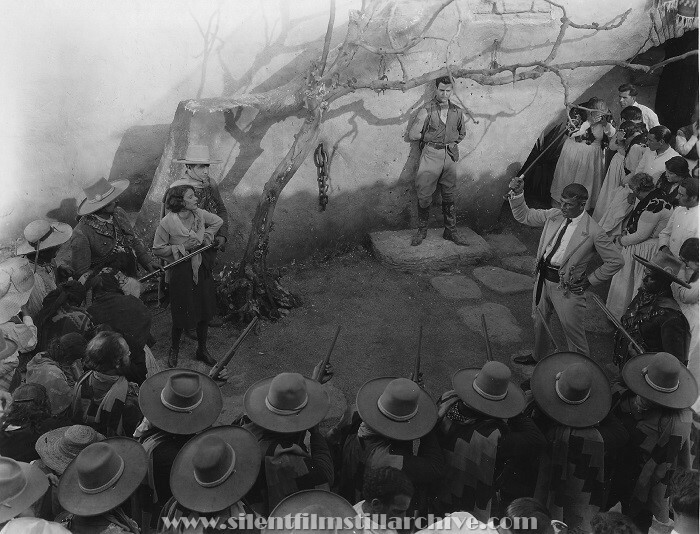 Gilbert Roland is in front of the firing squad. Noah Beery is standing with the sword at right. with Norma Talmadge, Gilbert Rowland and Noah Beery. Directed by Roland West. Norma Talmadge/United Artists.